As a special father's day treat, we have a recording that comes to us via Eraz Cohen. 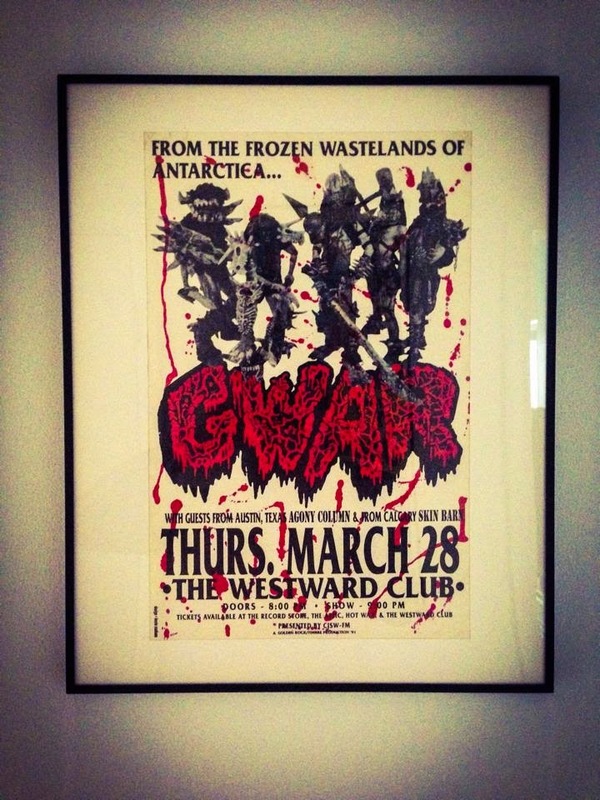 This is a two-part little nugget that was recorded at Gwar's now-infamous Westward Club show in 1989 1991[Edit: we totally screwed up the year of this show - it was two years later than we thought]. I. Part one is an interview with bassist Beefcake the Mighty conducted by... we're not sure. Between the, er, insistence of the interviewer and Beefcake's smart-assed answers, it's entertaining in parts and painful in others Thankfully, there's also a recording of the show to even things out. Sure, you don't get the full experience of the band's live show (which resulted in legions of fake blood-covered folks wandering along 17th Avenue), but it's a great document of a now-legendary show.